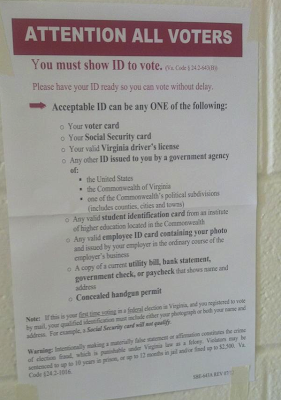 Virginia requires some sort of ID to vote. A photo ID is not required, just something showing your name and address. The list of acceptable IDs is quite extensive and inclusive to prevent any whining claims of hardship. 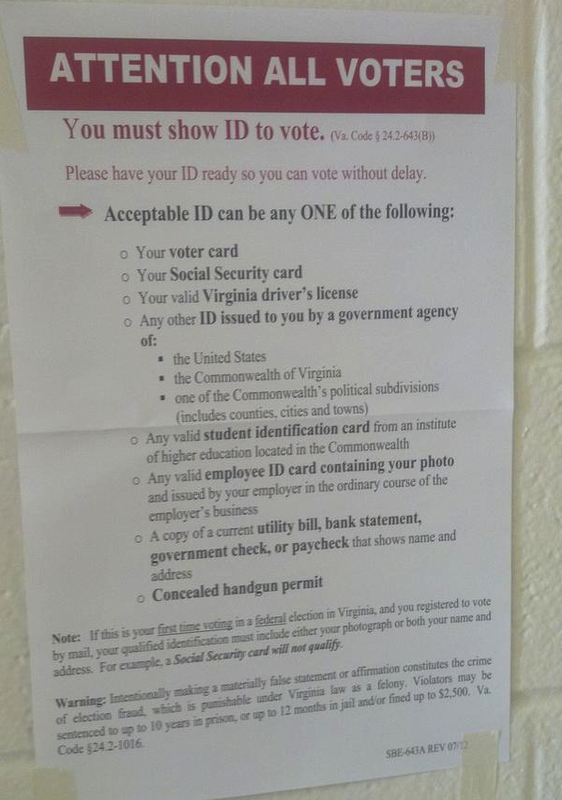 The bottom item on the list warmed my heart when I saw it posted at my voting place. Being a discreet person I didn't use my permit as ID when I voted, but the sign gave me a smile. Thanks to @Holocryptic for grabbing the photo I didn't.